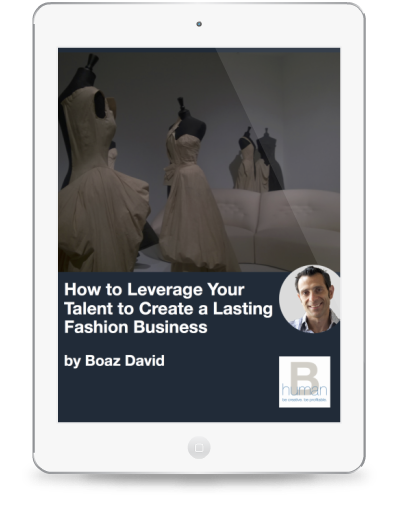 Building a successful fashion business is not easy. Every day we see awesome, talented designers squander their investors’ money because of an ill supply chain that doesn’t fit their business model. Just like a puzzle, it involves many different steps and parts that must come together perfectly for your business to grow. Having the right partners that you can count on to address the specific needs of your fashion brand and manage your supply chain is tasking, worrying and expensive. We are experts in design, development and production and can manage any fashion product from concept to a finish a product. On average a supply chain includes ten different process steps which can be tasking and expensive to manage. We will take on the complete process for you so you can AVOID ALL THESE STEPS and have a piece of mind from development and production worries to focus on building your brand. Want to save money? By outsourcing your product services to Human B, you can lower your operating cost by an average of 20-30%. Our own in house design and development team has over 70 years of combined industry experience and combined with our established relationships with key manufacturers both domestic, and offshore we can produce various product categories at different price points and with low MOQ. f you’re serious about solving your supply chain challenges (and only if you’re serious, please) give us a call. After a lot of research, evaluating, and ultimately going with my gut, deciding to work with Human B was the best decision I have made thus far for my business! Without a background in sewing, only design- and a commitment to producing a high quality product I knew I needed help. I had an idea I was dying to get out to the world and by partnering up with Human B I was able to streamline the process without wasting any more time and do it right from the beginning. About a year and a half in and I’m already producing my second collection. I knew the aspects of my business that weren’t my strong suit. By working with Human B I was able to take a concept I had been developing for years (it was a long time coming!) and actually put it into work to get something tangible. Something that I am so incredibly proud of. Having a solid genuine team to back me up every step of the way was crucial. Human B has been an amazing partner in my journey and incredibly supportive during this time. Starting your own business is extremely scary at times. You inevitably have a lot of highs and lows and are stepping into a lot of unknowns. Boaz and his team have been there for me along every single aspect of my business from product development, to marketing to sales-you name it. They have even acted as therapists so to speak during times when I needed advice and a little push out of my comfort zone. I genuinely can’t imagine where’d I’d be without the help from Human B and I look forward to continuing this close partnership with them as my brand continues to grow. After spinning our wheels for more than 2 years with other fashion designers and consultants, and spending so much time and money getting nowhere. We thought we had a great concept, but no one had the “total package” of services that we needed to get our concept off the ground. Just when we were about to give up, we discovered Human B, who came highly recommended by two other successful fashion brands – and that was a world of difference! Human B saved us from giving up on our dream of launching our own clothing brand. They were with us every step of the way – until we were completely satisfied with what we wanted. They turned what became a very expensive and frustrating endeavor into something that we really enjoyed and are now very excited about.